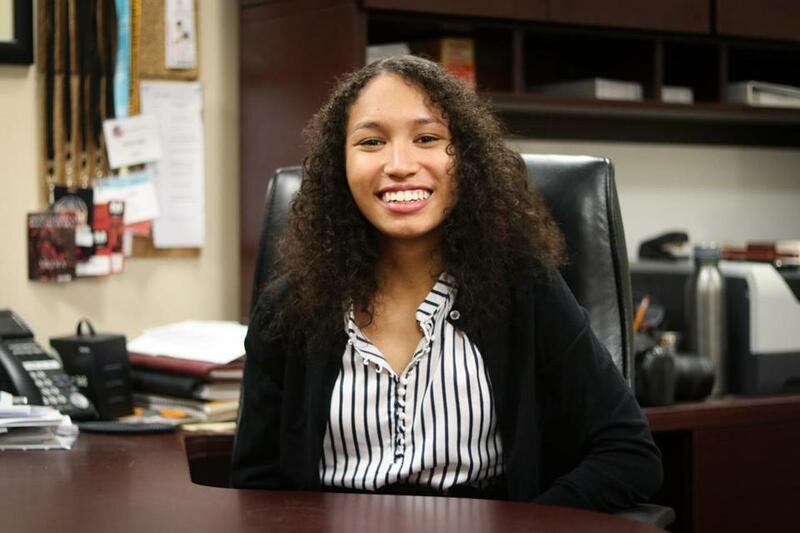 Amy Y. Li/The Harvard Crimson Inc.
Harvard junior Kristine E. Guillaume will be the first black woman to serve as president of The Harvard Crimson in the newspaper’s 145-year run, the Crimson announced Monday evening. As president, Guillaume will serve as a liaison between the editorial and business departments of the organization and focus on the long-term direction of the publication, which boasts approximately 320 staffers. Just months after Harvard’s Hasty Pudding Theatricals announced it would add female performers to its casts for the first time in its 170-plus years, Guillaume is cognizant of her history-making role. Guillaume will replace outgoing president Derek G. Xiao. Guillaume has served as one of the Crimson’s Central Administration reporters, as well as one of three chairs of the Crimson’s Diversity and Inclusivity committee, tasked with overseeing the paper’s initiatives to foster diversity and welcome students of all backgrounds. Kevin Slane can be reached at kevin.slane@boston.com.